Examine lubricant for metal debris. 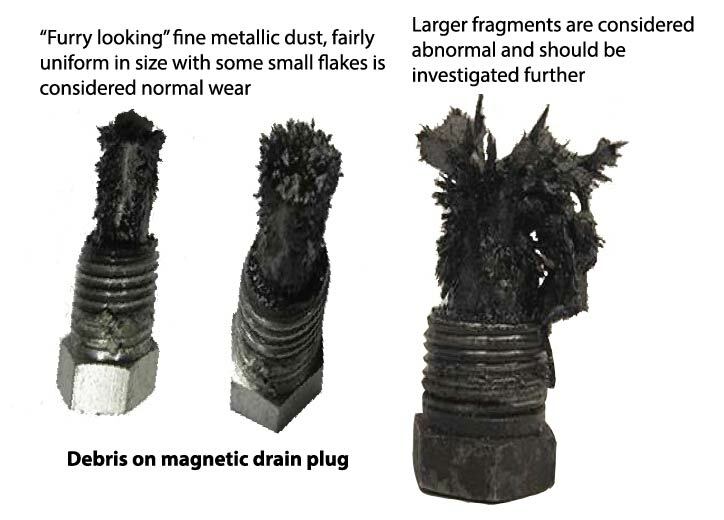 Examine lubricant level plug and lubricant drain/fill plug for metal debris. The existence of metal fuzz indicates normal wear of the bearings, shafts and gears within the gear case. Metal chips or debris is a sign of extensive internal damage. Examine lubricant for water contamination. The lubricant will appear milky if contaminated with water. However, normal aeration can cause the same appearance. To test for water contamination, pour lubricant into a clear cup. Allow the oil to sit for 60 minutes or more. If there is an abnormal amount of water in the container, the lubricant is water contaminated. Perform a gear case leak test if water is present. 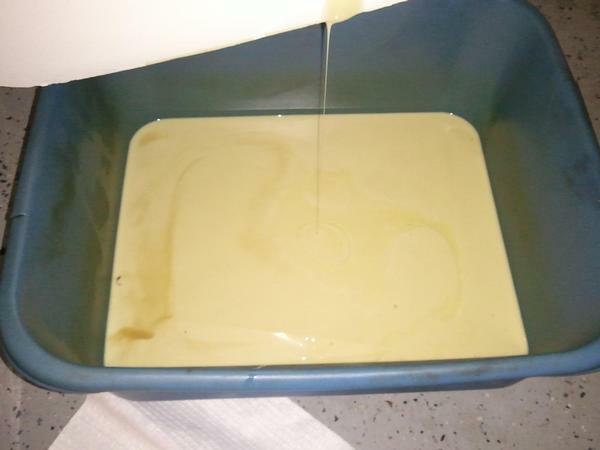 Milky, water contaminated gear oil. Examine if lubricant is overheated. Overheated lubricant will have a burned order and will appear black in color. Throughly inspect the gear case if overheated lubricant is suspected or if lubricant shows signs fo failure. Gear case lubricant when hot may be under a great deal of pressure. 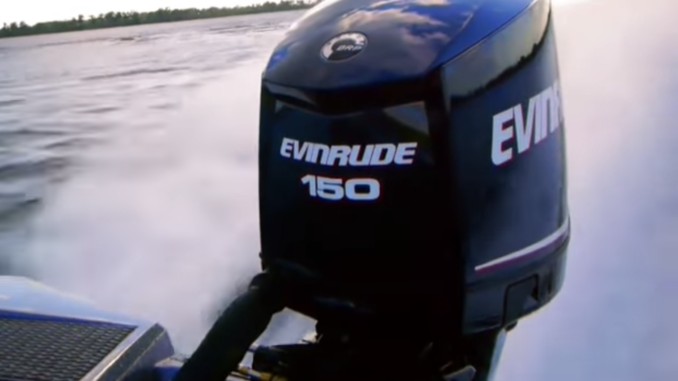 Take extreme precautions when removing a plug from a outboard motor that has recently been operated.